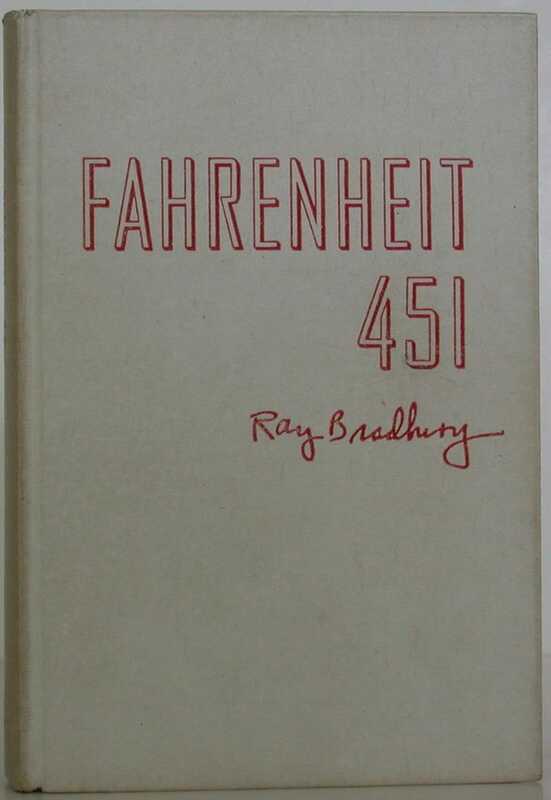 In 1953, Ballantine released a limited edition run of Ray Bradbury's book-burning novel Fahrenheit 451 that might survive a visit from the firemen. Two hundred numbered and signed copies of the book were bound in Johns-Manville Quinterra, a chrysolite asbestos material. The copies are much sought after by collectors; currently Abe Books has a copy for sale for $20,000. No word on whether owners of these editions have been at particularly high risk for lung cancer. Fahrenheit 451 isn't the only fire-retardant genre book; Stephen King had 26 copies of Firestarter bound in asbestos. Images by BookBid on Abe Books. Copy pictured is for sale.